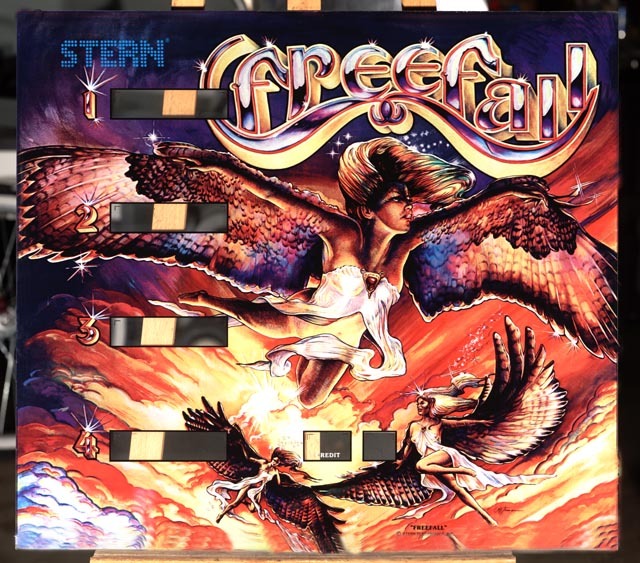 Another great classic 1980s Stern pinball. A customer wondered into the shop with the 1980 Stern Freefall backglass, wanting a copy of his original glass. Since his was in decent condition, we were OK with scanning his original and doing some light editing to the work file. Below are the results (the original scan is shown first.